Gloria Penwell’s expertise and love of the writing world comes from years of traveling with her husband, Dan. Together they attended many writers’ conferences while Dan was Acquisitions Editor at AMG Publishing. She loves to encourage new writers and understands what the writing life is about. Gloria represents AMG Publishers as assistant to the acquisitions editor and teaches at writers conferences. For more than thirty years, Larry J. Leech II has written and edited in a number of capacities. He spent twenty-three years at daily newspapers and an international magazine. With more than two thousand published articles under his belt, Larry moved into freelance writing and editing in 2004. He has ghostwritten seventeen books and coached dozens of aspiring writers. 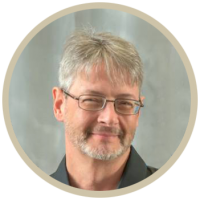 Larry teaches at numerous conferences nationwide and has become a much sought-after writing coach. 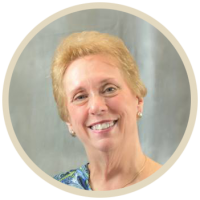 Linda Gilden is an author, speaker, editor, ghostwriter, and writing coach. 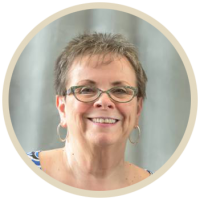 Author of eleven books and over a thousand magazine articles, Linda loves helping others discover the joy of writing. Linda lives in South Carolina with her husband, three adult children and their spouses, and the six cutest grandchildren in the world! For more information visit www.lindagilden.com. Join us Thursday afternoon from 1-4 p.m. for an in-depth look at the world of nonfiction and fiction books. • Help you flesh out an idea. • Help you apply the finishing touches on a book proposal. • Help you take your work-in-progress to the next level. • Brainstorm ways to deepen your characters. • Fix plot holes in your story. • Develop a dynamic twist for your climax. Sign up for either these fiction or nonfiction sessions on the registration form! When editors and agents pick up a manuscript, what makes them read on—or quickly put down the manuscript? During “First Pages,” we will read the first page of your manuscript (author’s name is not read) and discuss in a forum setting: “Would I keep reading or would I reject this (and why)?” This is an incredible opportunity to have professionals gently critique your manuscript’s first page and tell you if they would likely turn the page if it came across their desk. *In-depth look at the world of nonfiction and fiction books. *What makes an editors and agents read on/or quickly put down the manuscript? ** $15 if you bring it with you when you arrive on the event. **Lodging not included. A block of rooms has been reserved at Hampton Inn. P.O. Box 2928, Spartanburg, SC 29304.